For more than 35 years we have provided professional building maintenance services to Greenville, Spartanburg, Anderson and surrounding counties. TrehelCARE – our recently rebranded Commercial Building Services Division – provides construction, maintenance, restoration and emergency services. As a commercial builder, we care about rigid quality controls. We recognize that building should be a healthy and engaging environment. Whether you are in one of our buildings or not, every job must be performed with the highest degree of professionalism every day. We care about supervision, consistency and quick response time. We care about operating expenses and lower energy costs. We care that your people are healthier, happier and more productive. 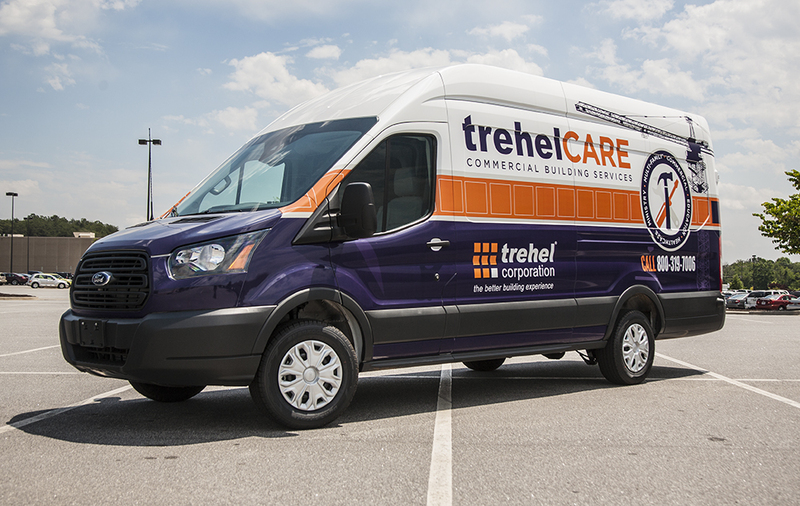 Call us at 1-800-319-7006 to learn more about TrehelCARE, Commercial Building Services. As part of our continuing service to the owner, Trehel Corporation has developed an internal TQM – Total Quality Management – committee made up of selected superintendents, project managers and executive management. Their responsibility is to review drawings prior to construction to identify potential areas that may be a problem during the construction process. Items that are stressed usually deal with water intrusion, ongoing maintenance issues, safety and constructability issues. Once the project is under construction, the TQM committee will conduct project visits to ensure their quality findings are being addressed. Additionally, a visual inspection of the entire project will be surveyed and these findings made available to the architect and all subcontractors. Our Total Quality Management program is squarely focused on delivering the highest possible quality to each and every project owner. With more than 300 years of construction industry experience combined, our TQM team is a group of seasoned professionals that come together for one purpose… quality. Through plan reviews, mock up panels, condition specific training, and “boots on the ground” construction evaluations, we are working together with our owners, architects, engineers and project staff to proactively identify and mitigate potential issues and provide the ultimate building experience for our clients. As an extension of our TQM program, Trehel provides a customer service representative dedicated to following up on any warranty items after building completion. Besides the on-going commercial building services of TrehelCARE, at the one-year anniversary of completion, a visual site inspection will be provided to address any items that may have arisen during the owner’s first year of occupancy.